For reporting to music rights organisations, record labels and other copyright licensing bodies or internal auditing of music play-out. Recognise your custom audio ads. Report to your agencies and clients on how often and when their ads are run. Enables internal or external auditing of ad play-out. Works with most audio and video streams. Online portal for detailed near-realtime reporting. Easily export data to CSV for further processing. Constantly updated 3rd-party database with millions of song fingerprints. Provide your own ad audio content to recognise. Low rates on month-by-month packages ensures great value. Automated content recognition allows recognizing previously indexed audio samples as they are played in live streams. It does this by constantly reading a stream and creating acoustic fingerprints from it's audio signal as it goes along. These are then matched against a database of known fingerprints from songs, ads or other audio sample. 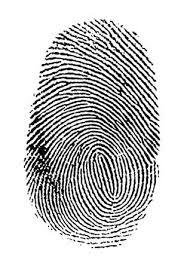 Acoustic fingerprints "take into account the perceptual characteristics of the audio" (wikipedia) meaning they are not based on the audio waveform itself, but rather how it will sound to the human ear. This allows very robust recognition that is resilient to noise, transmission or encoding artifacts and produce very accurate results. Several well-known consumer focused recognition services like Shazam and SoundHound take advantage of this technology to immediately recognise songs for their users. We use a third-party database with millions song fingerprints to recognise known songs in streams and deliver rich online reports on detected songs. Segment by time, artist, album, record label or even song. Graph recognitions over time and by time of day. Export to CSV for using with Excel or other data processing tools. Song title, artist, album, record label, genre. Simply provide us with an audio ad file to start tracking it over one or more streams and then log into your online portal anytime to generate rich near-realtime reports of recognitions. Enables radio stations to deliver rich play-out reports to their advertisers, and both internal or external sales teams to audit ad delivery. Custom ad title, custom ad category, internal or external sale. Start recognition on your stream content.